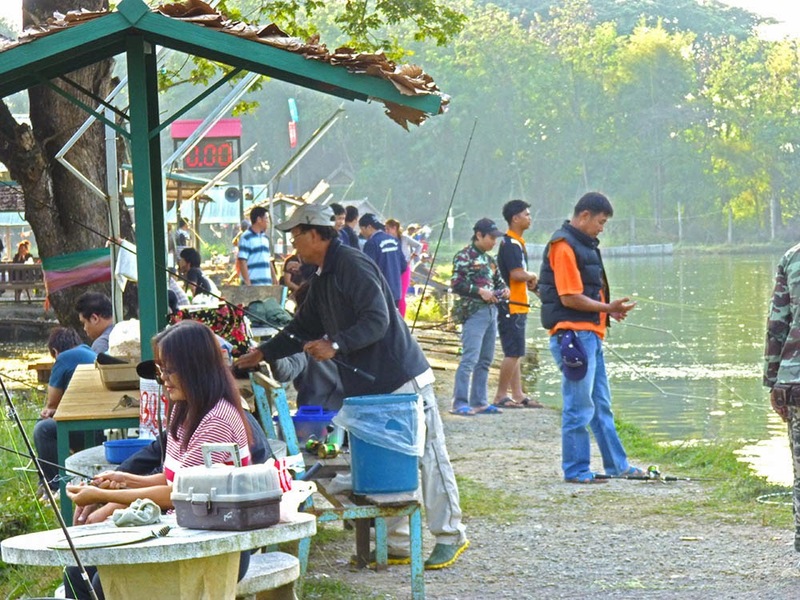 More fun at Chiang Mai Fishing Park....photos taken on Saturday 22nd December 2013. It started busy and then it got REALLY packed! 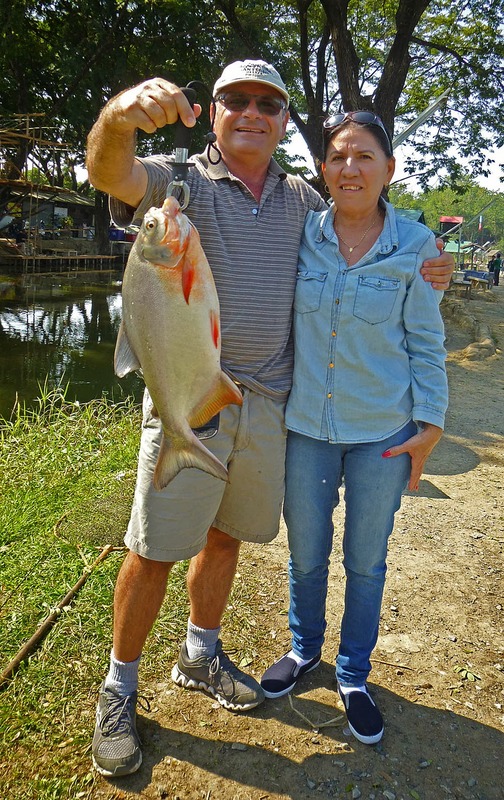 Please be aware that the Pacu fish you see here was caught by Mr. and not Mrs. Mr. now feels as though his testicles have at least been partially re-attached after recent fishing humiliations heaped on him by Mrs.
Nice pacu caught on fishmeal paste, 4lb mono and float rig. Normally the pacu will bit through the line as soon as it's hooked but in this case it was hooked "just right" and the line avoided the trillions of sharp, deadly nut-eating teeth. 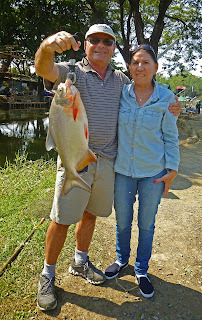 FYI all fish caught on our travels have been released unharmed (but mad as hell) back to the water. 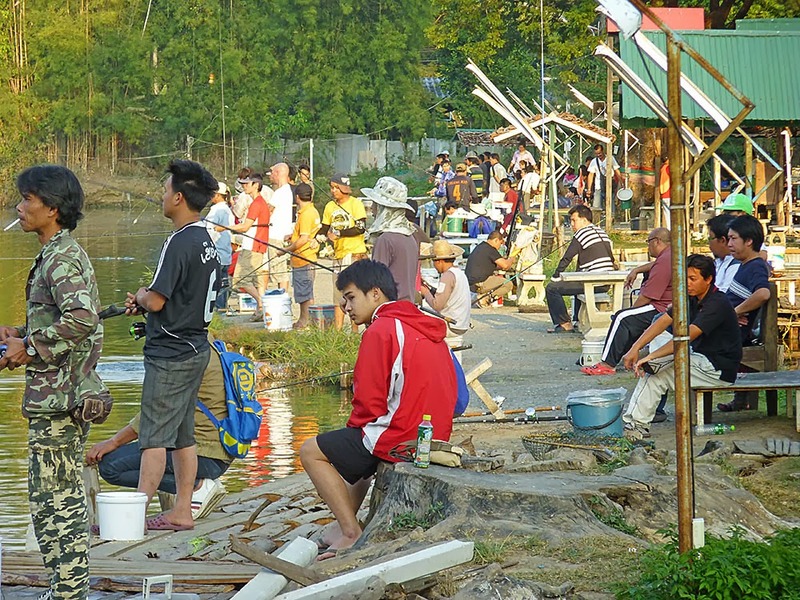 EVERYONE has fun at a Thai fishing park. Big crowds but no tangles (at least where we were fishing). Cost of fishing the main lake and 3 adjacent ponds, just 50 Baht (about $1.70US) for the whole day. I always pay for my wife to fish too at these prices. 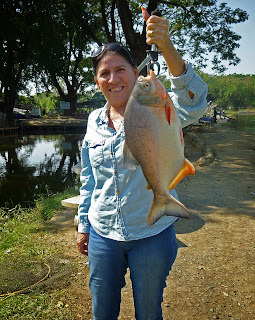 Her Modus Operandi at a venue like this is to fish for 5 minutes, catch the biggest fish of the day, and then spend the rest of the afternoon stroking the back of my head while softly saying "There, there."